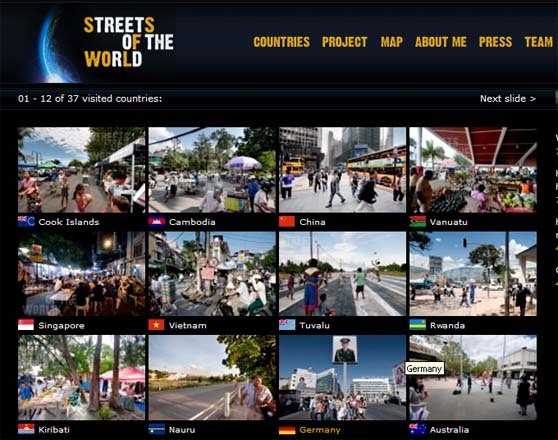 Photojournalist Jeroen Swolfs has taken on a challenging project: 'STREETS OF THE WORLD'. If he succeeds in visiting all countries and do his photography bit, he will be the first person in the world to do so. Meanwhile there is fascinating photography to enjoy! Novaya Gazeta is a Russian newspaper, well-known in the country for its critical and investigative coverage of Russian political and social affairs. Journalist Anna Politkovskaya, who was critical of the Russia's actions in Chechnya, wrote for Novaya Gazeta until her assassination on 07Oct06. Former Soviet President Mikhail Gorbachev and State Duma Deputy Alexander Lebedev own 49% of the newspaper and the paper's staff controls the remaining 51% of shares. Gorbachev has long been a friend of the paper. He used the money from his 1990 Nobel Peace Prize to help set up Novaya Gazeta in 1993 and purchase its first computers. 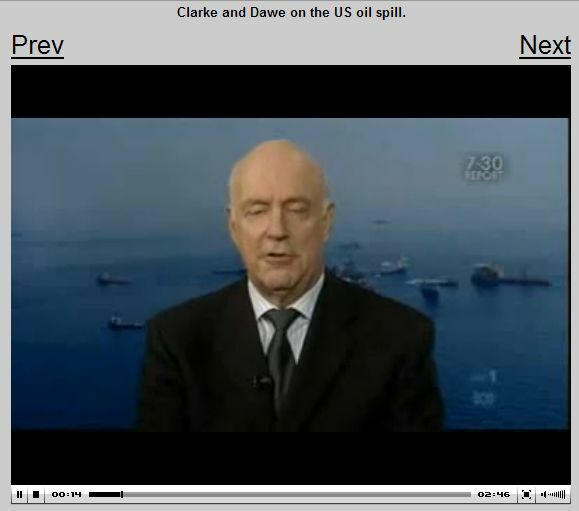 On 26Jan2010, the paper's website was subjected to a cyberspace attack and taken offline. As of 01Feb10 the website was still unaccessible. At the height of the attack the server was receiving 1.5 million connections per second. One must have considerable resources to do something like this. In 2010 Dmitry Muratov, Editor-in-Chief, received the Four Freedoms Award, on behalf of Novaya Gazeta. Yesterday went to attend a performance by Paul Merton's Improv Chums. Their only gig in Holland this tour (? ), afaik. My son had seen him during his stay in London, I only know Paul Merton from his witty performance in Have I Got News for You (BBC), which I've been following for many years now. Paul was spinning and his 4 'c...hums' Suki Webster, Richard Vranch, Lee Simpson and Mike McShane were equally inspired and quick-witted. An admirable performance. 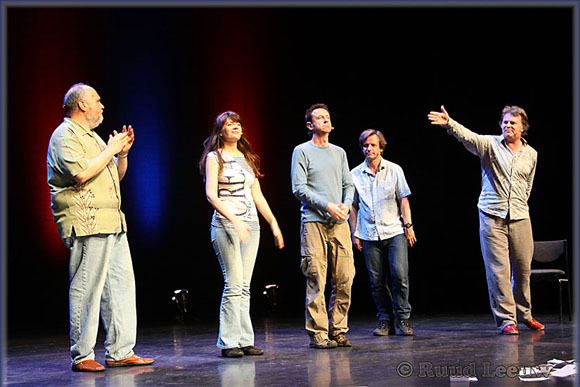 It was Paul Merton's 1st professional visit to Holland and I hope to see many returns! It never ceases to amaze me people would seek help, guided by a crumpled flyer like this. Note: yes, I have erased the telephone number and do not come to me for spiritual help (nor for help in any other way, come to think of it). 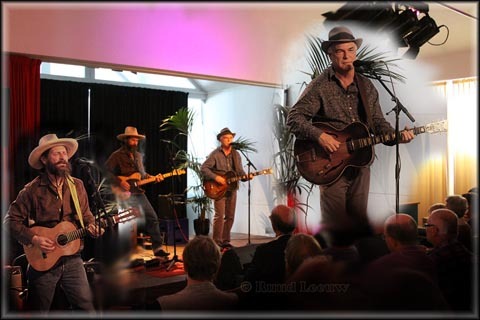 David Olney and Sergio Webb played in 'De Oude Veiling' ('The Ol'Auction House') in Aalsmeer (Holland). Enjoyed the music, first time I've seen them play, also promoting David Olney's latest cd: Dutchman's Curve. The one I bought is a limited edition with a bonus disc. David Charles Olney (b. 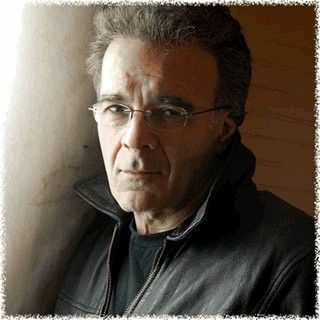 23Mar1948 Providence,RI) is an American folk singer/songwriter. He moved to Nashville in 1973 and formed the band The X-Rays, which gained a reputation during the late 1970s and early 1980s. Since then, he has performed as a solo singer/songwriter. His songs have been covered by Emmylou Harris, Steve Earle, Johnny Cash, Linda Ronstadt, and Laurie Lewis, among others. The growing number of people online in Holland, with broadband connections, is stunning. In 2009 the 6.000.000th broadband connection was established in the Netherlands. With 38,1 connections per hundred inhabitants, the Dutch took over from Denmark as the country with the highest percentage of households with a broadband connection. About 80 % of the consumers who have broadband, subscribe to other internet use with the same provider. 55 % of these have a phoneline by the internet provider. TV sees a growth in digital hook-up, over 50 % of the Dutch subscribe to digital television (7.300.000 in 2009). Holland is the most densely populated country in Europe, with a population over 16 million. 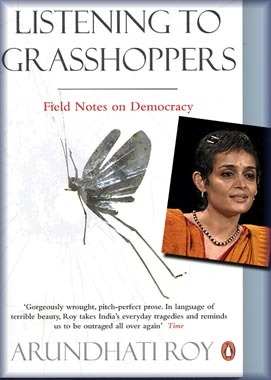 Subtitled 'Field Notes on Democracy', the writer reveals in a passionate style shocking details on Democracy in India. After reading this book no one can deny 'democracy's greatest experiment: India'... is far from complete. Authorities lie and conspire to isolate adversaries and minorities (in India minorities, e.g. Muslims, number in millions), there is corruption on a grand scale, mass murder is committed while the perpetrators are shielded from prosecution, scapegoats are thrown in jail (or worse!) when this suits police or politicians, media is used unashamedly to suit certain 'outcomes', human rights are easily trespassed; the list goes on. Arundhati Roy peels away the gloss of India's celebrated economic success. She explains how politicians in India put in effect George W. Bush's warmongering slogan "those who are not with us, are against us", with ruthless skills. Her style of prose makes the unbearable readable. Note this quote from a chapter where she explains the role of India and other countries in the region.
" Thanks largely to the part it was forced to play as America's ally, first in its war in support of the Afghan Islamists and then in its war against them, Pakistan is reeling under these contradictions, and careening toward civil war. As recruiting agents for America' s jihad against the Soviet Union, it was the job of the Pakistani army and the ISI to nurture and channel funds to Islamic fundamentalist organizations. Having wired up these Frankensteins and released them into the world, the US expected it could rein them in like pet mastiffs whenever it wanted to. Certainly it did not expect them to come calling in the heart of the homeland on 11 September. So once again, Afghanistan had to be violently remade. Now the debris of a re-ravaged Afghanistan has washed up on Pakistan' s border." 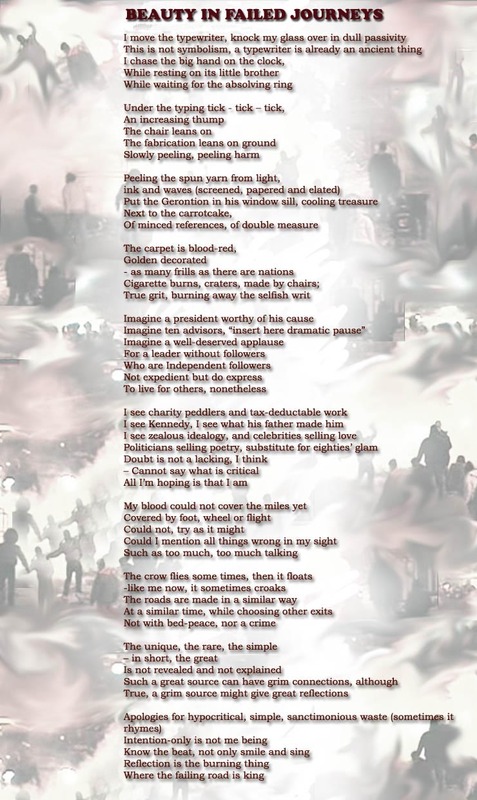 Quite amazingly, she projects such strong images, I never realized the writer was a woman! I only found out after reading the book and googling the name out of interest! Suzanna Arundhati Roy (born 24 November 1961) is an Indian writer who writes in English and an activist who focuses on issues related to social justice and economic inequality. She won the Booker Prize in 1997 for her novel, The God of Small Things, and has also written two screenplays and several collections of essays. My newspaper this afternoon featured on the frontpage "Train disaster India by sabotage". The article opened with 'Maoist fighters caused this disaster, which led to the death of 71 people and 200 wounded, according to police sources." Since reading this book, I don't accept that on face value. So I looked for information substantiating the accusation. I've travelled on Indian rail and know delay can range from hours to days. Mistakes happen. I think we can see a conspiracy here by parties ruthlessly trying to claim political advantage out of this sad event. Just like the book so eloquently describes. By this book I have become an informed reader of Indian news. Thank you Arundhati Roy. 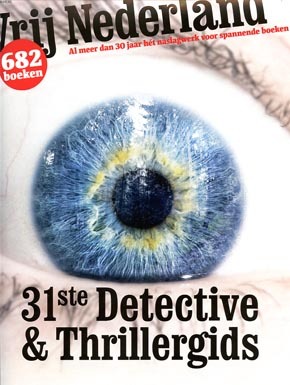 The Dutch (weekly) publication Vrij Nederland ('Free Netherlands') published their yearly guide on suspense books: 682 books are reviewed this time. The yearly publication has been a valued tradition over 30 years. Many of the books and writers under review will find a way on my 'wish-list'. This is how I 'discovered' Kate Atkinson. This time I think I will be looking more towards Scandinavian writers (e.g. Jo Nesbo, Lars Kepler, Jens Lapidus, Roslund & Hellström, Henning Mankell) and a writer from Iceland: Arnaldur Indriðason. Plans to develop Scotland’s Carlisle Airport into a freight storage and distribution centre have been scuppered by a local Irthington farmer, Thomas Brown. "A farmer has lost his legal battle to halt the expansion of Carlisle Airport." As reported by BBC News. This was confirmed May2010: "A farmer has triumphed in a legal campaign to overturn planning permission for a freight storage and distribution facility at Carlisle Lake District Airport - Thomas Gordon Brown, of Lane End Farm, Irthington, has insisted that consent should never have been granted to the airport's owners - Stobart Air Ltd - without first carrying out a full assessment of the project's environmental impact - And today (19May10) judges at London's Civil Appeal Court agreed with him and quashed the planning permission granted by Carlisle City Council in March last year." 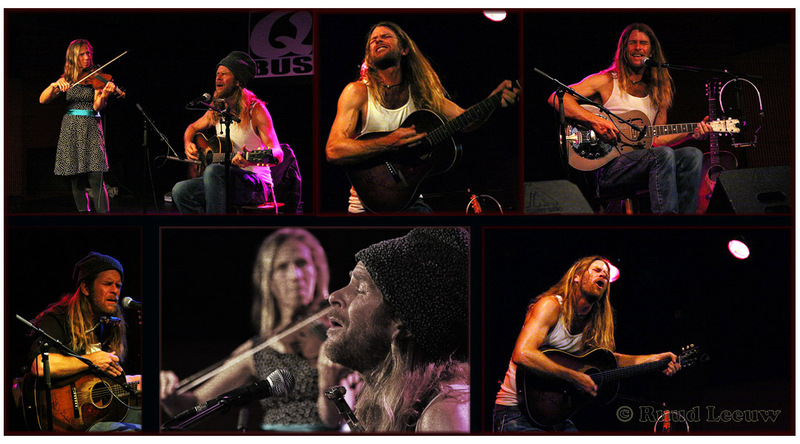 Yesterday evening I attended a gig by this fine singer/songwriter from the Deep South, Grayson Capps. This was the 3rd time I'd seen him play and each time with different artists; this time he played with Daron Douglas; she played the fiddle. Grayson told those who had turned up (not a large number, as the Champions League final was being televised, between Inter Milan and Bayern Munchen), that he knew Daron from the time when they were kids and she lived across the street, Music Street, in New Orleans. 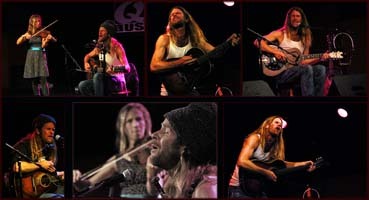 Grayson played his songs as energetically as before a full house and Daron Douglas added a nice touch with her violin. Actually, on the CD 'Songbones' a violin features in a number of songs, played by Tom Marron. They both put on a good, solid show, the US South warming the Dutch hearts! And the crowd sang along with 'Drink a Little Poison Before You Die' and 'Need a Big Fat Women (To Keep Me Warm)'. A splendid evening it turned out to be and the people who stayed at home watching football (soccer) on the telly lost out considerably! "How many times must it be said? French music never much appealed to me, but there is one exception: Joe Dassin. I became aware of his music probably around 1975 or 1976 and in particular L'été Indien (Indian Summer). I have sweet memories connected to this period and Dassin's music! Joseph Ira Dassin (November 5, 1938 – August 20, 1980), more commonly known as Joe Dassin, was a French/American singer-songwriter. Joe was born in New York City to American film director Jules Dassin and Béatrice Launer, a Hungarian virtuoso violinist. He began his childhood first in New York City and Los Angeles. However, after his father fell victim to the Hollywood blacklist in 1950, he and his family moved from place to place across Europe, thereafter. After studying at the International School of Geneva and the Institut Le Rosey in Switzerland, Dassin moved back to the United States to go to the University of Michigan in Ann Arbor, Michigan. After college, he moved back to France where, while working at a radio station, a record label convinced him to begin to record his songs. By the early 1970s, Dassin's songs were on the top of the charts in France and he had become very well known in that country. He was also a talented polyglot, recording songs in German, Russian, Spanish, Italian and Greek, as well as French and English! 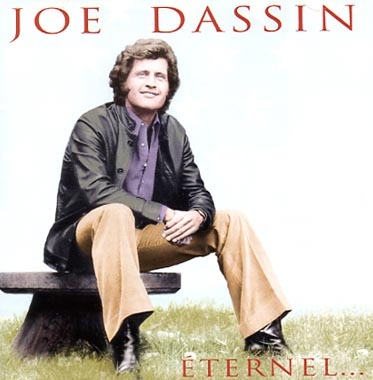 Joe Dassin died of a heart attack during a vacation to Tahiti on August 20, 1980. His body is interred in the Beth Olen Mausoleum section of Hollywood Forever Cemetery in Hollywood, California. In recent years I have more than once looked into purchasing a CD of his music but found none available. The albums I once had were lost somehow. This week I noticed his songs twice on the radio during a nightshift and checked again for availability. This time I found at least 2 CD's and I bought the double album; once more we'll have French music on the speakers, enjoying Joe Dassin's legacy. In 4 episodes historian Maarten van Rossum visits destinations in the USA. He is commissioned to do this by the Dutch 'EO', evangelical broadcasting corporation. 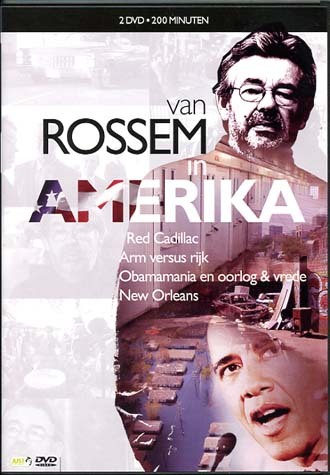 Van Rossum is well acqainted with the USA and is regularly invited to tv studios to comment on events and issues (often pertaining the United States). He is curious, critical and non-religious! 1. How is it possible that Christianity, so wide-spread in the US, so commonly referred to, results in such an underdeveloped, embryonic social structure in US society. One would expect that Christian values so strongly present and intertwined with overwhelming feelings of nationalism, would create a different society than we see presently. 2. Why is it that, in spite of aforementioned Christian values, the US is so assertive with its military forces, in recent decades continuously fighting wars abroad. 3. Final question: will the election of President Barack Obama bring change ('change', his slogan, 'yes we can') to the US society in these respects. Maarten van Rossem met with an interesting variety of people, of all walks of life, profession, religious values. Most seem to accept the above for what the US society is and see little or no reason (or chance) to have it changed. The American in general does not trust its government with his or her money, but instead wants to decide themselves to whom, why or when help will be given to the poor and needy, even if that provides for such a patchy social system. The people of God's Own Country have, in general, an unwavering confidence that what the USA does is righteous and just. And injustice needs to be adressed, even by military force. Even abroad. And no, the election of Barack Obama as President of the United States will probably not see great change in these respects. Van Rossem interviews included the Sojouners on Captol Hill. Their social values and action struck a chord with me, appealing to my European social values. So there is hope! Some dislike digital photography because it can distort the truth; that was never different and even our classic painters have been accused of this. Wwell, I don't mind if photography creates an interpretation, as long as it is honest and upfront about it. 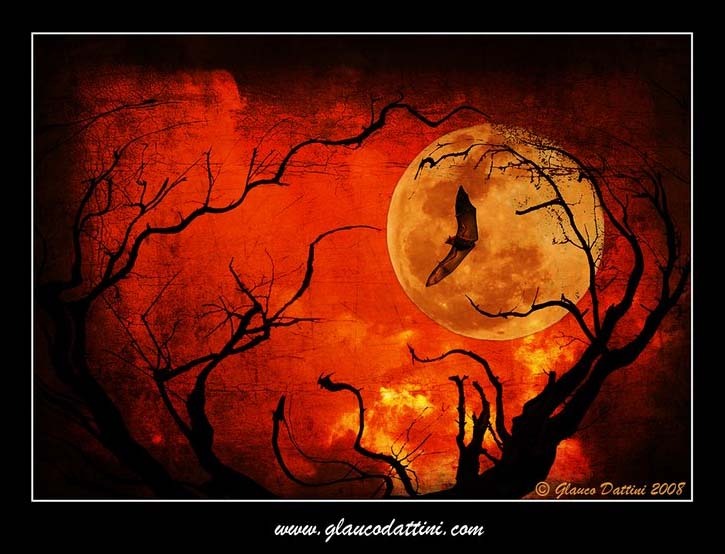 Glauco Dattini has truly made image alteration into an art form, with the most brilliant and amazing results, worthy of praise here. 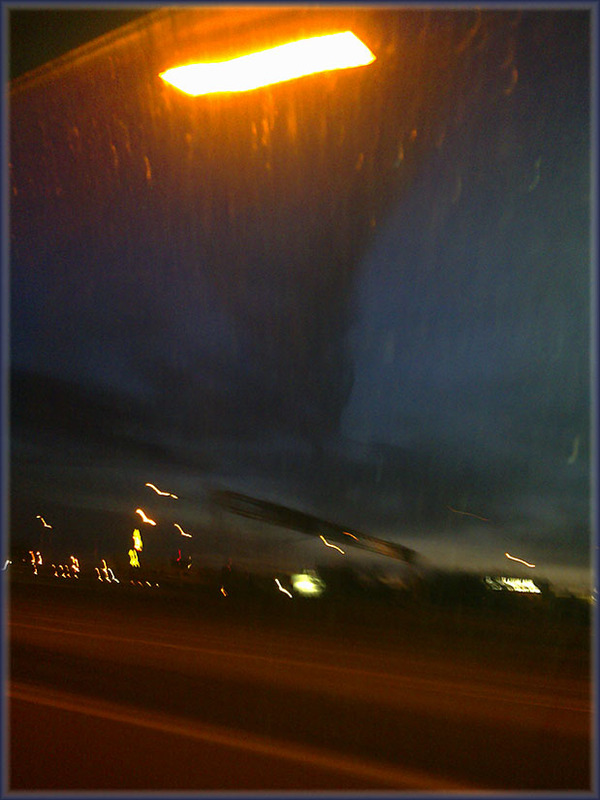 Last night I was being driven to work and we noticed after sunset some very dark clouds, much darker than others. Ash clouds? The photo was taken with my mobile (Nokia 6700), sitting awkwardly, half turned and left arm out streched behind the driver... But I liked the result nevertheless, a bit surreal! Don McLean was one of the first singer songwriters I bought an album from (others were Gordon Lightfoot, Leonard Cohen, Bob Dylan) and I was especially impressed with 'Americain Pie' which held fascinating poetic and surreal qualities while sentences like "Moss Grows Fat On A Roma Stone" probably appealed to my interest in history. Positive reviews on Don McLean's latest album 'Addicted to Black' made me by this album and at the same time I purchased the (double) cd 'Solo - Don McLean Live'. Solo got me reacqainted with songs like American Pie (the version by Madonna is utter crap! ), Cripple Creek/Muleskinner Blues, Babylon, The Legend of Andrew McGrew and I like his version of Bob Dylan's Masters of War (as current today as then). Don McLean's latest album comes close (in my humble opinion) to many of best days in songwriting! He opens strong with Addicted to Black and while Run,Diana,Run is a bit late in time to be actual it is an excellent one and well-produced. Lovers Love the Spring reminds me of the old crooners. Shadowland and In a Museum jump out at you, nice swing & rhythm. Yes, I like this album a lot, it becomes better even when you listen to it a few times, it grows on you! 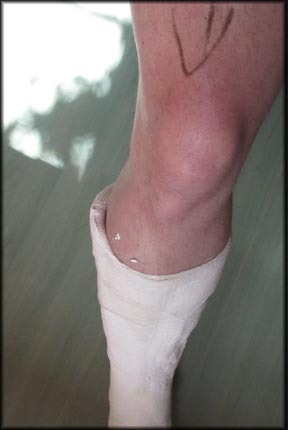 Between the Olympic 2010 Winter Games and the Soccer Football World Championship 2010 in South Africa I find myself 'grounded' with a sports injury. 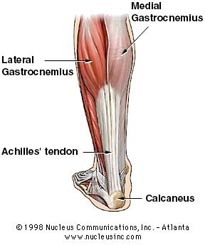 I am in good company, as David Beckham is also suffering from a ruptured Achilles tendon. But I am (we are) on the road to recovery, albeit not with the speed I wished for. 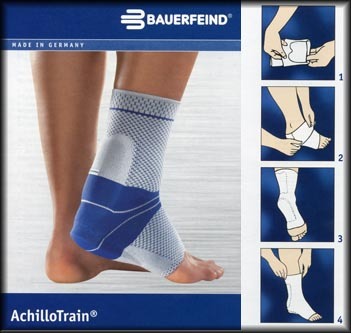 "The Bauerfeind AchilloTrain(er) ankle brace provides therapeutic support and treatment for Achillodynia and Achilles tendon ruptures. The active knitted support sleeve and integrated, viscoelastic tendon pad are anatomically contoured for maximum comfort. The profile tendon insert provides uniform pressure and a local massage effect during movement." In last week's edition of Time magazine I came across an article about a new prison (in more ways than one) being opened in Norway. The thinking behind this prision stands out as remarkable, esspecially if you compare it to countries like most in Latin America, Asia and of course the US. This is about Halden Fengsel, Norway's newest prison. 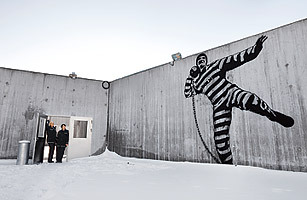 Norway's second largest prison has a capacity of 252 inmates and opened on April 8th, 2010. That mural, by Grafitti artist Dolk, is brilliant! This may be more about Norway and how they deal with people who've committed a crime and are being isolated from the community serving a sentence. Planning ahead seems fundamental here. Ten years and 1.5 billion Norwegian kroner ($252 million) in the making, Halden is spread over 75 acres (30 hectares) of gently sloping forest in southeastern Norway. The facility boasts amenities like a sound studio, jogging trails and a freestanding two-bedroom house where inmates can host their families during overnight visits. Unlike many American prisons, the air isn't tinged with the smell of sweat and urine. Instead, the scent of orange sorbet emanates from the "kitchen laboratory" where inmates take cooking courses. Halden embodies the guiding principles of the country's penal system: that repressive prisons do not work and that treating prisoners humanely boosts their chances of reintegrating into society! Countries track recidivism rates differently, but even an imperfect comparison suggests the Norwegian model works. Within two years of their release, 20% of Norway's prisoners end up back in jail. In the U.K. and the U.S., the figure hovers between 50% and 60%. A low level of criminality gives Norway a massive advantage. Its prison roll lists a mere 3,300, or 69 per 100,000 people, compared with 2.3 million in the U.S., or 753 per 100,000 — the highest rate in the world. You'd think they would come to the inevitable conclusion that their system of degrading repression isn't working, but instead US prisons (culminating in the Guantanamo bay prison) strip prisoners more and more of their basic human rights! Norway sets a courageous example. There aren't any small expolsions either. 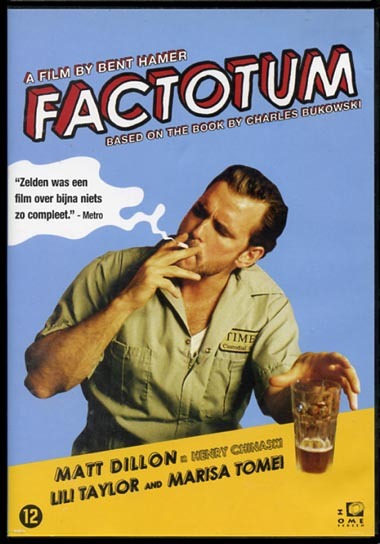 Factotum by Bent Hamer is based on the book by Charles Bukowski. A book by Charles Bukowski was given to me by Alexander, an excellent gift it turned out to be. I like his writing. Funny thing: am presently reading a crime novel by Jo Nesbø, Marekors (EN: The Devil's Star, I'm reading the Dutch translation, Dodelijk Patroon). When Jo Nesbø describes a room, he mentions a bookshelf which has a book by Charles Bukowski there. I like that. Connect the dots. Hank Chinaski, the fictional alter-ego of 'Factotum' author Charles Bukowski, who wanders around Los Angeles, CA trying to live off jobs which don't interfere with his primary interest, which is writing. Along the way, he fends off the distractions offered by women, drinking and gambling. Factotum is a humorous and strongly autobiographical narrative from "the poet laureate of skid row" that follows an alcoholic drifter through a series of menial jobs as he travels aimlessly across the country. 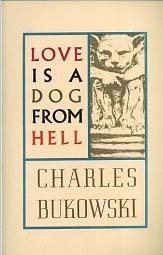 Before devoting himself entirely to writing, Bukowski worked various dead-end jobs, including as a laborer in a dog biscuit factory, a parking lot attendant, stock boy, warehouseman, red cross orderly, elevator operator, poster hanger in New York City subways, shipping clerk, postal clerk and postal carrier. At the age of 23, Bukowski finally lost his virginity to an overweight whore in Philadelphia. In straightforward and unsentimental prose, Bukowski depicts his alter-ego, Henry Chinaski, a loner and outcast who lives for booze and despises work with a passion. The character of Jan is based on Jane Cooney Baker, the great love of Bukowski's life, a widowed alcoholic 11 years his senior with an immense beer belly. Baker spent the last days of her life working as a maid in a cheap hotel before dying of a massive hemorrhage in 1962. As for Bukowski, the self-proclaimed 'barfly' lived out his later years in a ranch-style house in San Pedro, California, with an attractive young wife 24 years his junior, expensive German wines on the rack and a BMW in the driveway. Police in California have seized computers belonging to the editor (Jason Chen) of a gadget blog which was involved in the purchase of an iPhone prototype. The phone was lost by a 27-year-old Apple software engineer. 'Gizmodo' (a gadget blog) had admitted it paid $5,000 to an unnamed individual for the 'next generation device', which was reportedly left in a bar by an Apple employee. Apple wrote to Gizmodo last week asking it to return the prototype handset, which it complied with. The technology blog had already published details of the next-generation iPhone, which is expected to be unveiled later this year. When Mr Chen and his wife returned from having dinner on Friday night they found police searching their home! "The officers had a computer and were cataloguing all the items they took from my house. They told me they were here for a few hours already and had to break the front door open because I wasn't at home," he said. But the iPhone had been returned, so this seems more like harassment to me. The raids were conducted by the Rapid Enforcement Allied Computer Team (REACT), a Californian computer crime taskforce. The taskforce was set up in 1997 to address the rising problem of computer fraud and identity theft. It works closely with the computer industry and Apple is reported to be one of 25 tech firms to sit on the steering committee. But this man sings of The South ! Ray Bonneville is a roaming blues poet, inspired by the road and the many other places he has called home—New Orleans, Colorado, Arkansas, Alaska, Boston, Seattle, Paris, France, Montreal and Austin Texas. Born in Canada and raised in the United States, Bonneville has lived all over. No place, however, has been more influential than New Orleans. His music hit the right note with me when I listened to "Goin' by Feel" (2008). That just begged for more and I quickly ordered a few other cd's. The song "I am the Big Easy" is a masterpiece! 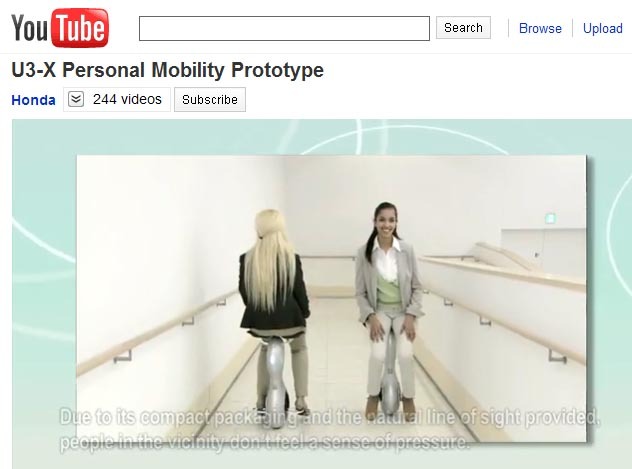 It looks like an excellent alternative to my crutches! Are we becoming a nation too fat to defend ourselves? It seems incredible, but these are the facts: As of 2005, at least 9 million young adults -- 27 percent of all Americans ages 17 to 24 -- were too overweight to serve in the Ü.S. military, according to the Army's analysis of national data. And since then, these high numbers have remained largely unchanged. Data from the Centers for Disease Control and Prevention show obesity rates among young adults increasing dramatically nationwide. From 1998 to 2008, the number of states reporting that 40 percent or more of young adults are overweight or obese has risen from one to 39. What children eat and drink during school hours constitutes as much as 40 percent of their daily nutrient intake. An overweight America is killing itself with excess, and all that can save it is a major cultural transformation led by individuals and families, the U.S. surgeon general said Monday. Speaking to more than 1,000 educators, doctors and public health officials in San Diego at the largest-ever conference on childhood obesity, Dr. Richard Carmona called obesity the fastest growing cause of illness and death in the United States and said it deserved more attention than any other epidemic." Just came across an article in my newspaper about.. a potato! The 'Opperdoes' potato grows in the province Noord-Holland in the Netherlands. Its name, 'Opperdoezer Ronde', is protected by 'Beschermde Oorsprongs Benaming (BOB)', something like 'Appellation Contrôlée' in wine, and is grown by 25 growers around the Westfrisian town of Opperdoes on an area no larger than 160 hectares. The ground they grow in is rather unique. The yearly harvest is a little short of 4 million kilograms. Hi-class restaurants, such as the Okura in Amsterdam, buy them! I never thought of potatoes in terms of exquisite, but maybe I should? 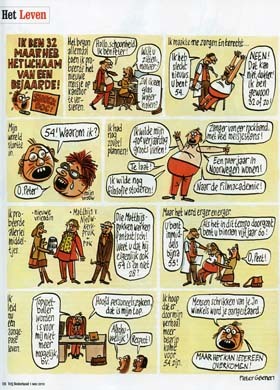 I recently bought this book, again many brilliant cartoons by Peter van Straaten for people to enjoy. Not sure if his work is published other than in the Dutch language. The title of this book would translate as "Does your mother know about this?" 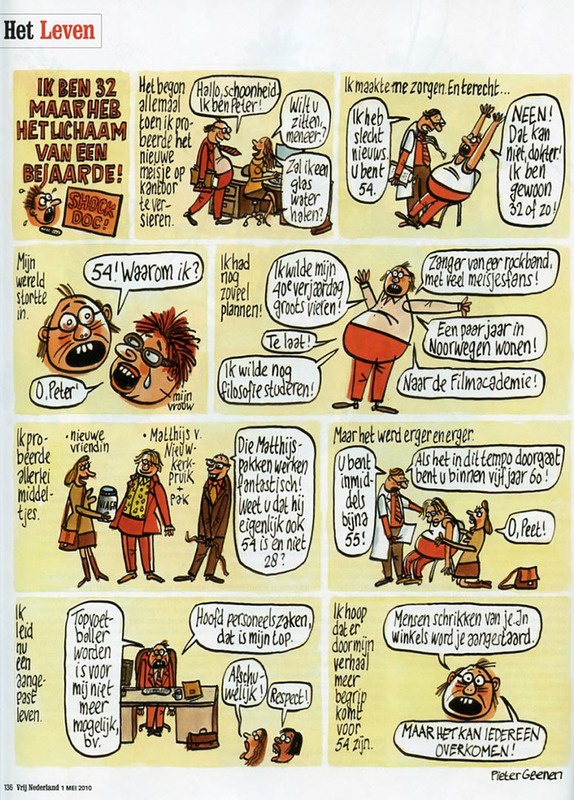 Peter van Straaten (b. Arnhem, 25 - 03 - 1935) is a Dutch cartoonist. He makes political satire as well as portrays common matters in daily life in a unique way. He has a keen eye to zoom in on a subject we probably wouldn't think twice about. He started his career in 1958 with Het Parool, a Dutch newspaper (still around). In 1968 he started with the brilliant cartoon 'Father and Son' and it continued with success until well into the 1980s. His weekly item on 'Agnes', a single woman with many insecurities, was something to look forward every week as well. 'Daily Life' is his present series, equally brilliant. His work appears in newspapers, magazines and books. He also produces a 'nag calender', which will be made available in 2010 for the iPhone. Peter van Straaten has won many awards and was knighted ('Member of the Order of Oranje Nassau') on 29APR2009. I recently watched David Letterman interviewing Captain Charles Moore, who brought an unnerving message to my attention. When I googled it I noticed it has been described even on Wikipedia! The Great Pacific Garbage Patch, also described as the Pacific Trash Vortex, is a gyre of marine litter in the central North Pacific Ocean located roughly between 135° to 155°W and 35° to 42°N. 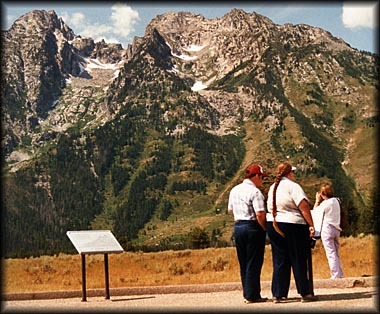 Although many scientists suggest that the patch extends over a very wide area, with estimates ranging from an area the size of the state of Texas to one larger than the continental United States, the exact size is unknown. Since most of it floats below the surface, it cannot be measured in any way by satellite. The existence of the Great Pacific Garbage Patch was predicted in a 1988 paper published by the National Oceanic and Atmospheric Administration (NOAA) of the United States. Charles J. Moore, returning home through the North Pacific Gyre after competing in the Transpac sailing race in 1997, came upon an enormous stretch of floating debris. Moore alerted the oceanographer Curtis Ebbesmeyer, who subsequently dubbed the region the "Eastern Garbage Patch" (EGP). The area is frequently featured in media reports as an exceptional example of marine pollution. A similar patch of floating plastic debris is found in the Atlantic Ocean. As the plastic flotsam photodegrades into smaller and smaller pieces, it concentrates in the upper water column. As it disintegrates, the plastic ultimately becomes small enough to be ingested by aquatic organisms which reside near the ocean's surface. Plastic waste thus enters the food chain. Some of these long-lasting plastics end up in the stomachs of marine birds and animals, and their young. Besides the particles' danger to wildlife, the floating debris can absorb organic pollutants from seawater, including PCBs, DDT, and PAHs. Aside from toxic effects, when ingested, some of these are mistaken by the endocrine system as estradiol, causing hormone disruption in the affected animal. These toxin-containing plastic pieces are also eaten by jellyfish, which are then eaten by larger fish. Many of these fish are then consumed by humans, resulting in their ingestion of toxic chemicals. 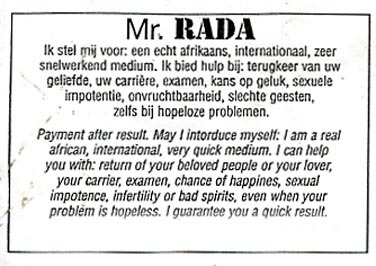 I like the absurd humor of the cranky therapist Sigmund a lot; it is published in a newspaper I read, De Volkskrant (in Dutch) and the website has an English version of Sigmund. In Holland over 81.000 CARS have been traded in since may last year, for a less polluting car. The government-sponsored initiative ended today, it was a success. 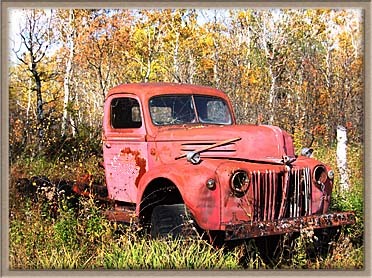 Over 90 percent of the cars, which were traded in, were 15 years old or older. One could get 1.000 euros for the old 'clunker'. Some 85 percent of the weight of the cars traded in have been recycled: over 50 million kgs of metal and 2.4 million kgs tires. The Dutch government and car industry invested 80 million in this arrangement. And indeed we traded a car (Toyota Yaris) in too, but it was from 1999 (we bought it in 2003) and in exchange we bought a Nov.2006 Hyunday Getz. We think we got a good deal too. Airspace throughout northern and Central Europe was gradually reopening Tuesday, but London airports including Heathrow, one of the world's busiest, will remain closed until Wednesday. P> Here's a rundown on what's open, what's closed, because of the Iceland volcano eruption. Britain: Britain's National Air Traffic Service says London airports will remain closed until Wednesday. 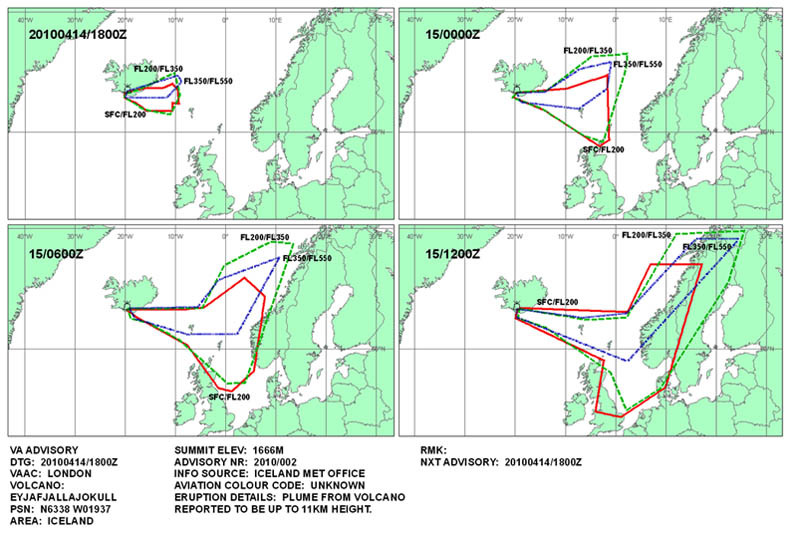 Some flights have resumed in Scotland and northern England. Flights in U.K. airspace above 20,000 feet now are permitted. GERMANY: Airspace closed for regular flights Tuesday except for Hamburg and Bremen airports, which were to be open for regular flights later Tuesday. However, airlines are being permitted to operate a limited number of flights from all airports — up to 800 in total Tuesday — under visual flight rules. FRANCE: Flights from the Paris airports to several international destinations resume Tuesday, most French airports now open to limited traffic. The government hopes 100 percent of long-haul flights and 60 percent of medium-haul flights will run Wednesday. 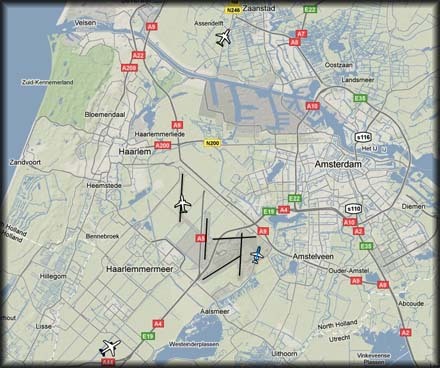 NETHERLANDS: Amsterdam's Schiphol Airport is open to some flights Tuesday after the Dutch government approved flying under certain conditions. KLM lists about 40 flights due to arrive or depart. Company says it is "resuming normal operations in a phased manner." SWEDEN: Airspace over northern and central Sweden is open. Stockholm's Arlanda airport is open to flights to and from the U.S. and some European destinations. Ryanair's Stockholm hub Skavsta is closed, as are airports in Göteborg and Malmo. Overflights at high altitude are permitted across the country. NORWAY: Aviation officials opened Norwegian airspace Tuesday after weather forecasts indicated the latest wave of ash would pass south of Norway. Authorities had closed airports along the southwestern coast. Oslo's Gardermoen international airport is open for flights to and from the U.S. and some European airports. Oslo's discount airline terminals, Torp and Rygge, are also open. AUSTRIA: Austrian airspace remains open after permission to resume takeoffs and landings took effect early Monday. Some flights continue to be canceled but situation improving. IRELAND: Irish Aviation Authority says Shannon airport in the west was reopening Tuesday but the airports in Dublin and Cork remain closed at least until later Tuesday. Flights above 20,500 feet are permitted. ITALY: Officials say a handful of domestic flights have resumed through Milan as Italy starts reopening airports. Rome's Leonardo da Vinci airport is clearing out waiting passengers with 22 international flights and 32 domestic. DENMARK: Danish airspace above 16,600 feet is open, so long-haul flights can cross Denmark at high altitude. There is no landing in Denmark. Airspace under 16,600 feet remains closed until Wednesday. SWITZERLAND: Airspace reopened to regular traffic early Tuesday. POLAND: Authorities closed airspace Tuesday until further notice. CZECH REPUBLIC: Air space and airports remain open. Prague airport has confirmed two thirds of normal daily flights for Tuesday. SLOVAKIA: Air space reopened since midday Monday, but Ryanair canceled all Tuesday flights from Bratislava. SPAIN: Reopened all airports Sunday. FINLAND: Airports closed Tuesday and flight restrictions extended until early Wednesday. Authorities opened airspace briefly Monday. International overflights allowed again above 31,000 feet. LATVIA: Latvian airspace open Tuesday morning, and two flights have landed at Riga International Airport. LITHUANIA: Airspace is open, and first departures have taken place from Vilnius International Airport. All flights at Kaunas Airport are canceled, as are a majority of those at Vilnius. ESTONIA: Tallinn Airport was briefly opened, then closed. It's expected to reopen Tuesday. HUNGARY: Hungarian airspace open since Monday, with some minor restrictions overnight. Some 15 flights departed from Budapest's Ferihegy Airport early Tuesday to destinations including Prague, Paris, Madrid, Athens and Amsterdam. SERBIA and MONTENEGRO: Airspace and all airports open since Sunday. Authorities expect 75 percent of flights to run. CROATIA: Airspace and all airports are open. Croatia Airlines, the national carrier, restores all domestic and international flights Tuesday. The image shows the continued flightban over much of Europe. But while the Netherlands has its air space closed, by special permit a few cargo flights were allowed to depart and arrive on Amsterdam IAP. 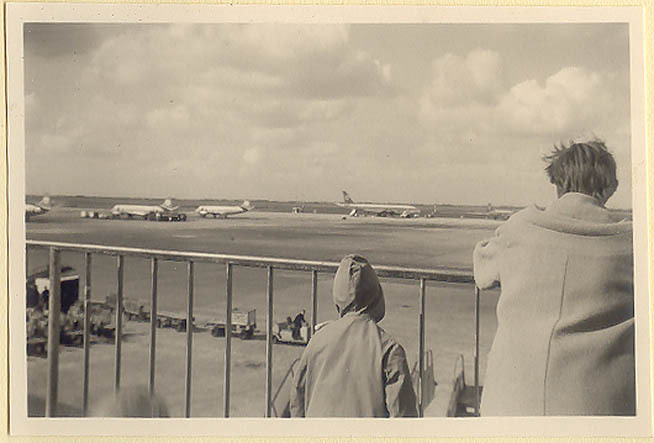 Germany saw some large airliners being positioned, without passengers. The airline industry says its losses have soared over $1bn (UKL650m; 740m euros), since much of Europe's airspace was closed five days ago because of the spread of ash. Britain's air traffic control body said airspace in Scotland, parts of the north of England and Northern Ireland would reopen on Tuesday. Lufthansa, meanwhile, was allowed by the German aviation authority to operate 50 long-haul flights to Frankfurt, Munich and Dusseldorf. France said it would reopen Lyon airport later on Monday, before opening air corridors for flights between Paris and southern French cities, and eventually all its other airports. Belgium said it would begin reopening the country's air space on Tuesday morning. 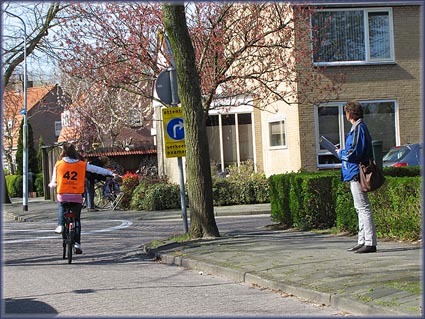 Another sign that Spring is here: grammarschools have their classes take exams to further safe participation to traffic. Observes make notes on the kids' performance. 'Everybody' has a bicycle in Holland, it is a common form of transport; people do their shopping on them, go to work, etc. There often are seperate bikeways, - crossings and also traffc lights esspecially for people on bicycles. Below statistics show generosity is not as it is proclaimed on the news.. 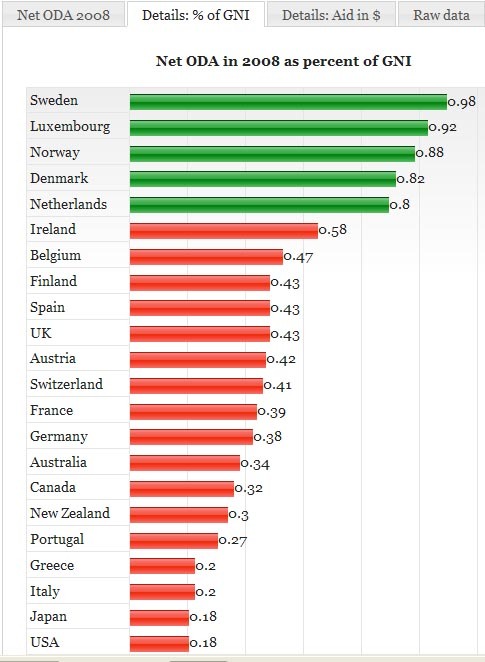 It does seem that the smaller countries provide for the poor! Significant: The Netherlands, a tiny country by most standards, plays a generous hand. A price to pay inhopes of being heard by the big players? 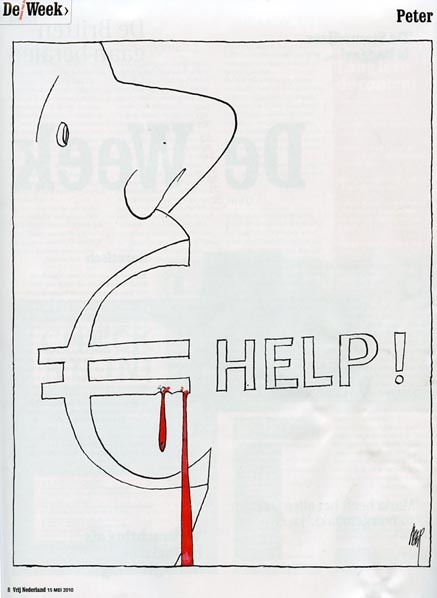 Italy, with clown Berlusconi at the wheel, doesn't put the funding where his loud mouth is. Italy spends less than half of what the Netherlands donate, while it has over four times as many inhabitants! Great Britain is the only country that made a significant increase since 2005: from 0.36% to 0.6%. And what to think of the US: the wealthiest, strongest and most influential nation? See also other issues on www.globalissues.org, "Social, Political, Economic and Environmental Issues That Affect Us All"
The Transport and Water Management Inspectorate of The Netherlands, together with the Military Aviation Authority, brought the closure of Dutch airspace forward to 15.1600 utc the huge cloud of ash - formed following the recent eruption of the Eyjafjallajökull volcano in Iceland proceeded to drif across Western Europe. The above image dates from midday April 16th, forecasting the extend of spreading by 17.0001 utc. 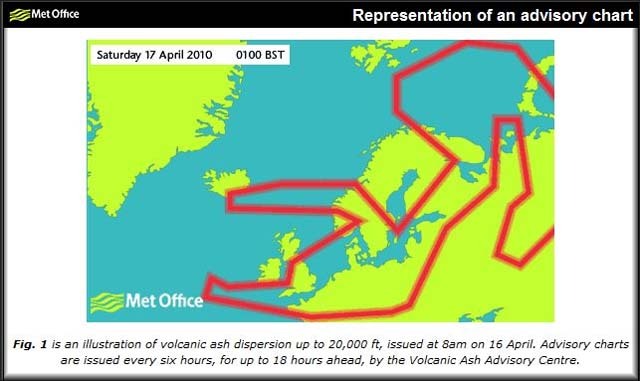 April 16 (Bloomberg) -- Fraport AG’s Frankfurt airport was closed this morning due to the cloud of volcanic ash from Iceland moving across Europe, and will remain closed for an undetermined period, an official at Germany’s DFS air traffic control agency said. Frankfurt-Hahn Airport, a base airport for Ryanair Holdings Plc, was also closed, the official said. The closure of the Hamburg, Bremen, Hanover, Muenster/Osnabrueck, Dusseldorf and Cologne airports, as well as both Berlin airports, was extended from 8 a.m. for an indefinite period, the DFS said earlier. Qantas, which has more than 1,000 passengers holding at Asian stopovers, canceled four services today and is unlikely to resume Europe flights before April 18, spokesman David Epstein told reporters. Singapore Airlines Ltd. axed eight flights while Air China Ltd. and All Nippon Airways Co. also scrapped services. REUTERS - A huge ash cloud from Icelandic volcano Eyjafjallajökull spread out across Europe on Friday causing air travel chaos on a scale not seen since the Sept. 11 attacks. About 17,000 flights were expected to be cancelled on Friday due to the dangers posed for a second day by volcanic ash from Iceland, aviation officials said. Airports in Britain, France, Germany and across Europe were closed until at least Saturday. AUSTRIA - Airspace to be closed in steps from "late afternoon" according to national air traffic control. Vienna airport says 50 outgoing and 41 incoming flights to Vienna have been cancelled so far. BRITAIN - English airspace is closed until 2400 GMT. Limited flights from Scotland and Northern Ireland operating until 1800 GMT. DENMARK - Closed for Friday. FRANCE - Airports across northern France, including Paris, will remain closed until at least 1800 GMT. GERMANY - Takeoffs and landings have stopped at a total of 13 airports in Hamburg, Bremen, Hanover, Muenster, Duesseldorf, Cologne, Frankfurt, Saarbruecken, Berlin, Leipzig, Erfurt and Dresden. Aircraft can still land at airports in southern Germany such as Stuttgart or Munich. ITALY - Rome's Fiumicino airport has cancelled 34 flights to northern Europe. Alitalia has cancelled all its flights to London, Paris, Amsterdam and Brussels. 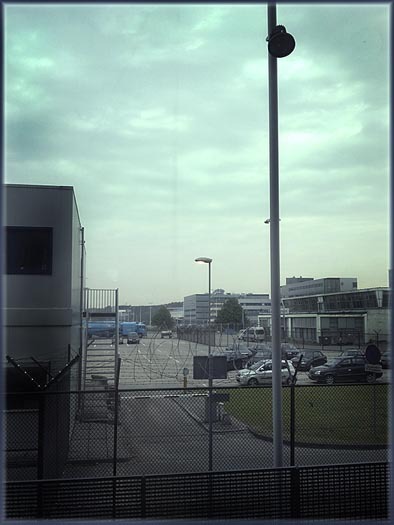 NETHERLANDS - Air space closed. NORWAY - Closed for Friday. POLAND - Only one airport, in the south-eastern city of Rzeszow, is open after air space over the country was closed. SLOVAKIA - All flights from Bratislava cancelled. SPAIN - Madrid airport open. SWEDEN - Closed for Friday. RUSSIA - Airports in Russia remain open. The airport in Kaliningrad, the Russian exclave between Poland and Lithuania, was closed briefly on Friday morning but has reopened. BULGARIA - Sofia open; flights to western Europe cancelled. CYPRUS - Larnaca, Paphos open. Volcanic activity on Iceland seemed a local problem, although my heart went out to them watching video material and witnessing people being evacuated from their homes and roads destroyed by melting glaciers, roads I'd been driving on in 2007! You don't want to find yourself in an airliner going through an ash cloud: tubes required for data (wind, pressure) get blocked and make flightcontrol computers go berserk, engines will cough and die, cockpit windscreen will get sandblasted by the ash... Basically you'll find yourself in a heavy glider, unable to see what is in front of you and the instruments rendered useless! So that is why in aviation volcanic activity is closely monitored and air space closes when volcanic ash contaminates the sky. Today I witnessed a first for air space over The Netherlands. 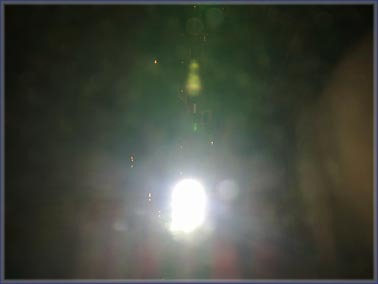 The picture is dated 1800 utc, 14APR2010 and forecasts the spreading of the ash. 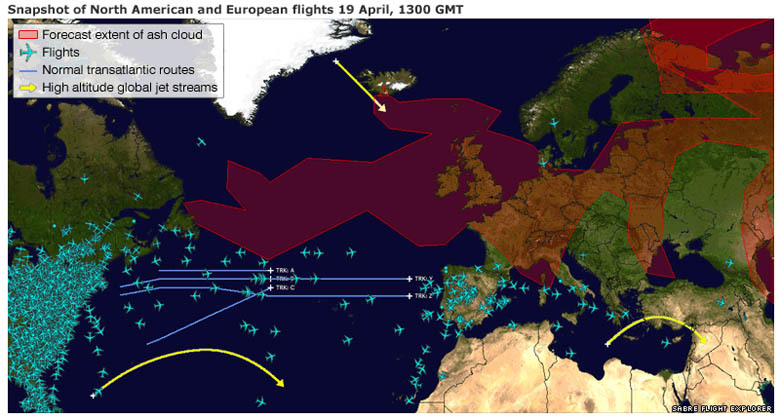 Today, April 15th, UK air traffic was set to cease between 11:00 - 17: 00 utc, parts of the Danish- and German air space was to close too. The air space above the Netherlands was closed at 18:00lt (16:00 utc) on Thursday (15th) evening, one hour earlier than planned. All flights to and from the country were cancelled. Close to 90,000 people who had been planning to depart from Amsterdam’s Schiphol airport on April 15th were unable to reach their destination. With hotels filling up rapidly, the airport authorities provided camp beds for passengers who were unable to find a hotel room. What if Volcano Eyjafjallajökull continues to discharge ash into the atmosphere for months or even years... It could seriously effect life as we know it! A total of 265.539 Dutchmen and Frisians came to the US between 1820 and 1949, Lucas states in his 'Netherlanders in America'. Add to this an unknown number of Flemish-speaking Belgians. 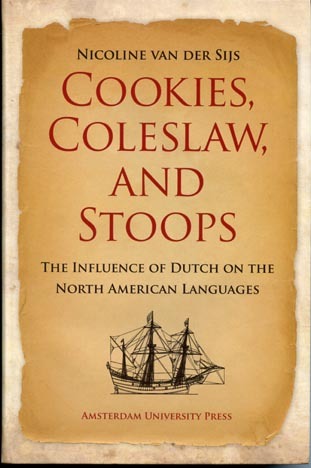 The members of the 'Young Dutch branch' as the Dutch migrants in the 19th & 20th century were called, followed the example of the 17th century Dutch colonists, the 'Old Dutch branch': they settled in the US grouping together. In the 19th century, the 'Young Dutch branch' was concentrated in the American Midwest. Historian Swierenga has calculated that, of the 60.000 - 70.000 Dutch immigrants who had arrived in their new country in 1870, more than 90 percent lived in only 18 countries in 7 states. Only in the course of time the Dutch settlers spread out over a larger area. The Dutch left their mark in American society and culture. In the 17th century three monetary names were adopted from Dutch: dollar, gulden and stiver. The last two words haved been reduced to merely historical terms. Dollar stems from the Dutch word Daler. This word is again derived from High German Thaler, a shortened word form of Joachimst(h)aler, a coin minted from silver from the mine Joachimsthal (present-day Jáchymov, North Bohemia, Czech Republic). These coins were produced from 1519 onwards. In the Low Countries the name Daler was also used to refer to coins that were minted in Dutch provinces from as early as 1538. The name Daler was adopted into British English and spelled in a variety of ways, including Daler, Dallor and Dolor. And in the early 17th century occasionally Dollar. The monetary units made for payments in England, however, were pounds, shillings and pence, although dollars also circulated in the 17th- and 18th century. The Dutch brought their Daalders to New Netherland; the first coins that they brought were known as Leeuwendaalders, daalders which were minted in the Low Countries from 1575 onwards and featured a lion (NL Leeuw = EN Lion). This name was adopted into American English as Lion Dollar, while the name Doller was also used simultaneously. That name continued to be used , even after the assumption of power by the English. Another name was Dog Dollar. Since the name Hondendaalder was not encountered in Dutch, it is quite possible that the image of the lion was so worn down and consequently bore so little resemblance to the animal that the Yankees, perhaps mockingly, coined the variant 'Dog Dollar' (NL Hond = EN Dog). The letter a in Dutch was often pronounced o in American English; one also see this in baas = boss. Spanish pesos have also been referred to as Spanish Dollars (or just Dollars) since 1684. 'The unit or dollar is a known coin, and the most familiar of all to the minds of people. It is already adopted from south to north; has identified our currency and therefore happily offers itself as an unit already introduced'. In 1792 the Dollar was statutorily introduced by Congress as the US currency. 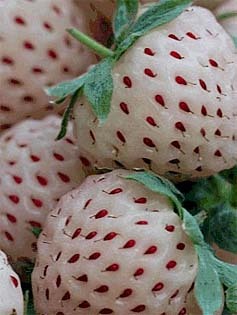 Pineberries: looks like a white strawberry, but tastes like a pineapple! The Pineberry is a strawberry cultivar owned by breeder Hans de Jongh and commercialized by VitalBerry BV in Made, The Netherlands; it was publicized in German in April, 2009, as Ananaserdbeeren, or pineapple strawberry. Grown in glasshouses, pineberries start off green, gradually turning paler as they ripen. When the fruit is sweet and juicy enough to eat, the flesh is almost totally white but studded with red seeds - the reverse of the usual variety. The 'Pineberry' is disease resistant, but is not very profitable. Due to small-scale farming, small berry size and low yield crop, the Pineberry has been marketed to European restaurants, bakeries and wholesale markets. The berry has been dubbed the Pineberry for the UK market. White strawberries are not rare as garden supply stores in the UK have other white varieties of strawberry called White Soul and White Delight. Discovered wild in South America and rescued from extinction by Dutch farmers, they can now be bought online at www.Waitrose.com (online grocery shopping in England). They are smaller than most commercially grown strawberries, measuring between 15 and 23mm across - slightly less than an inch. According to Waitrose they can be used as an alternative to their red counterparts in a range of recipes and desserts. All commercially grown strawberries originate from an 18th century European cross between wild varieties from North and South America which achieved the sought-after combination of sweet taste and large, juicy berries. They quickly took over from the tiny, tart-tasting fruits now known as alpine strawberries, which have been grown and enjoyed in European since before Roman times. those 2 guys last week. Henry Charles Bukowski, born Heinrich Karl Bukowski, (August 16, 1920 – March 9, 1994) was an American poet, novelist, and short story writer. Bukowski's writing was heavily influenced by the geography and atmosphere of his home city of Los Angeles, and is marked by an emphasis on the ordinary lives of poor Americans, the act of writing, alcohol, relationships with women, and the drudgery of work. A prolific author, Bukowski wrote thousands of poems, hundreds of short stories, and six novels, eventually having over 60 books in print. Reuters has been trying to obtain the video through the Freedom of Information Act, without success since the time of the attack. The video, shot from an Apache helicopter gun-site, clearly shows the unprovoked slaying of a wounded Reuters employee and his rescuers. Two young children involved in the rescue were also seriously wounded. The military did not reveal how the Reuters staff were killed, and stated that they did not know how the children were injured. 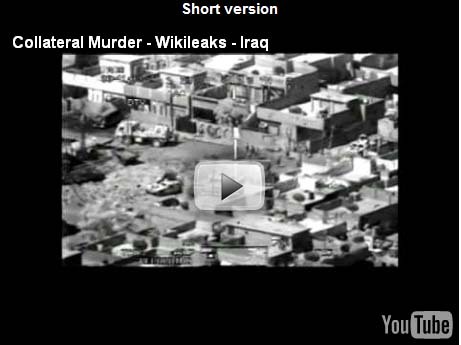 WikiLeaks obtained this video as well as supporting documents from a number of military whistleblowers. WikiLeaks goes to great lengths to verify the authenticity of the information it receives. We have analyzed the information about this incident from a variety of source material. We have spoken to witnesses and journalists directly involved in the incident. WikiLeaks wants to ensure that all the leaked information it receives gets the attention it deserves. In this particular case, some of the people killed were journalists that were simply doing their jobs: putting their lives at risk in order to report on war. Iraq is a very dangerous place for journalists: from 2003- 2009, 139 journalists were killed while doing their work. "I’m in Washington DC right now where I just assisted WikiLeaks editor Julian Assange put on a press conference. Before today I was in Iceland for almost two weeks, yet again without properly seeing it. Apart from that one day at the volcano I haven’t gotten out much. That is to say: I have literally spent all the other days in “the bunker”, locked away behind closed curtains in rented apartments in Reykjavik, working to get things ready for today. At least I can now tell you all what I have been helping WikiLeaks with....."
A tiny tropical island has vanished: New Moore Island (long the focus of regional dispute between Bangladesh and India) has been claimed by climate change... Regional sea levels have risen dramatically over the past decade, now overwhelming this tiny speck. New Moore Island once sat several feet above sea level; it was a tiny speck of only 3.6-sq kilometer, but this event is a significant fact nonetheless. A band which I have always placed in the (US) South is The Band. I was quite mistaken as the original group (1967–1976) consisted of four Canadians! These were: Robbie Robertson (guitar, piano, vocals); Richard Manuel (piano, harmonica, drums, saxophone, organ, vocals); Garth Hudson (organ, piano, clavinet, accordion, synthesizer, saxophone); and Rick Danko (bass guitar, violin, trombone, vocals), while the one American was Levon Helm (drums, mandolin, guitar, bass guitar, vocals). But that doesn't mean their music wasn't from the South, right? Because they were always "the band" to various frontmen, Helm said the name "The Band" worked well when the group came into its own and left Saugerties,NY to begin recording their own material. They recorded two of the most acclaimed albums of the late 1960s: their 1968 debut Music from Big Pink (featuring the single "The Weight") and 1969's The Band. They broke up in 1976, but reformed in 1983, without founding guitarist Robbie Robertson. The Band's music fused many elements: primarily old country music and early rock and roll; every member was a multi-instrumentalist. Helm's drumming was often praised. Singers Manuel, Danko, and Helm each brought a distinctive voice to the Band: Helm's southern voice had more than a hint of country, Robertson was the group's chief songwriter, but he sang lead vocals on only three studio songs released by the Band ("To Kingdom Come", "Knockin' Lost John" and "Out Of The Blue"). Strains appeared in the 1980s, when the bulk of songwriting royalties were going to Robertson alone while the others had to rely on income from touring. In late summer 1965, Bob Dylan was looking for a backup band for his first U.S. "electric" tour. 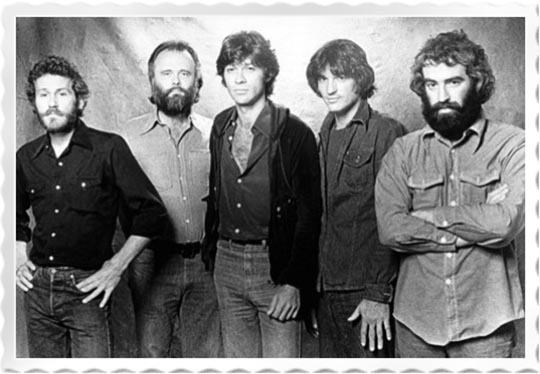 Levon and the Hawks were recommended by blues singer John Hammond, who earlier that year had used Helm, Hudson and Robertson on his Vanguard album So Many Roads. With Dylan, they played a tumultuous series of concerts from September 1965 through May 1966, The Band reunited with Dylan, first in recording Dylan's album Planet Waves, released in January 1974, and then for the Bob Dylan and The Band 1974 Tour, which played 40 shows in North America during January and February 1974. Later that year, the live album Before the Flood was released, documenting the tour. 'Before the Flood' was one of the first Dylan albums (became a life long fan) and also made me note The Band. By 1976, Robertson was weary of touring. After having to cancel some tour dates due to Manuel suffering a severe neck injury in a boating accident in Texas, Robertson urged the Band to retire from touring with a massive Thanksgiving Day concert on November 25, at the Winterland Ballroom in San Francisco, California. The concert featured a horn section with arrangements by Allen Toussaint, and a stellar list of guests, including Hawkins, Bob Dylan, Neil Young, Joni Mitchell, Muddy Waters, Dr. John, Van Morrison, Ringo Starr, Eric Clapton, Ronnie Wood, Paul Butterfield, and Neil Diamond. The concert was filmed by director Martin Scorsese: The Last Waltz. Another 'documentary' we should be grateful for Mr Scorsese to have made. In 1983, the Band reformed and recommenced touring, though without Robertson. While the reunited Band was touring, on March 4, 1986, Manuel committed suicide in his Florida motel room. The band participated in former Pink Floyd leader Roger Waters' The Wall Live in Berlin concert in 1990, and in Bob Dylan's 30th anniversary concert celebration in New York City in October 1992. In 1994 Robertson appeared with Danko and Hudson as The Band for the second time since the original group broke up. The occasion was the induction of The Band into the Rock and Roll Hall of Fame. Helm, who has feuded with Robertson for years over accusations of stolen songwriting credits, did not attend. Rick Danko died in his sleep at age 56 on 10 December 1999. Robertson became a music producer and wrote movie soundtracks (including acting as music supervisor for several of Scorsese's films) before a highly praised comeback with a Daniel Lanois produced, eponymous solo album in 1987. He released a second solo album, Storyville, in 1991. Pity he stopped recording his music as I liked his solo productions very much. In 2007 Levon Helm released a new album, an homage to his southern roots called Dirt Farmer, which was awarded a Grammy Award for Best Traditional Folk Album on 09 February 2008. Electric Dirt followed in 2009 which also won a Grammy Award. Helm regularly performs concerts at his barn in Woodstock, New York. Chances are I'll never see him play, but I sure liked his CD's. Helm has also had a considerable career as an actor, which I wasn't aware of. He has appeared in the movies The Three Burials of Melquiades Estrada, Shooter, Smooth Talk, The Right Stuff, The Dollmaker, Feeling Minnesota, End of the Line, Coal Miner's Daughter and In the Electric Mist, among many others. At the end of WW2 a number of former American pilots formed the "Flying Tiger Line", which soon became the world's leading air freight company. 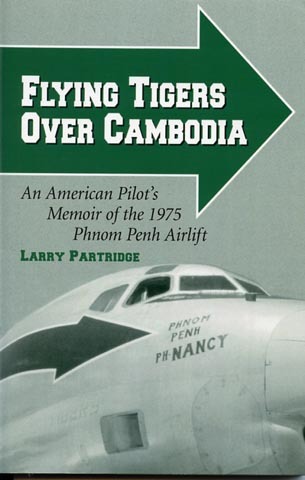 This is the memoir of Larry Partridge who, in a plane nicknamed 'Nancy' (which also became the callsign into Phnom Penh), after his wife, flew 52 missions into PNH during 1975, delivering rice and other supplies in hostile conditions (a noticable difference with the Berlin Airlift). Published by McFarland & Company Inc., 2001. The Douglas DC-8-63AF N783FT (msn 46003) they flew is, remarkably, still around. Its career took it, besides to Flying Tigers, also to Lufthansa Cargo, Air India and is currently listed with Air Transport Int'l. Another excellent book to read about the Flying Tiger Line, from start to finish is 'Tiger Tales' by Tiger captain LaVerne Moldrem. Recommended reading! Another book I have (yet to read) is 'The Mighty Tiger', by Joe Brenner (Trafford Publishing, 2003). 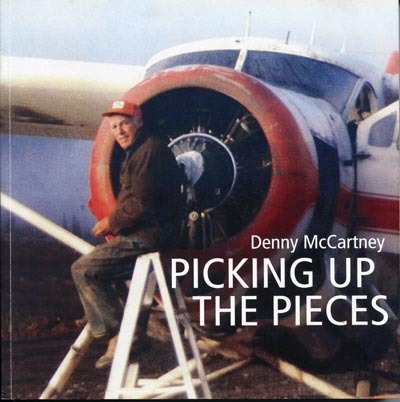 The first chapter of 'Flying the Frontiers, Vol.3 by Shirlee Smith Matheson (subtitled 'Aviation Adventures Around the World') details the career of Cedric 'Ced' Mah, who really started his career as a Tiger pilot flying the 'Burma Hump'. Came across two items in my newspaper this weekend. I looked them up on the internet. Senturk wept as he emerged from a Ferrari F430 at Urfa airport in eastern Turkey. He learned from Guinness World Records officials his average speed of 292.89 km/h! Senturk broke the previous record of 284 km/h, held by a British bank manager. In Belgium some 100.000 people drive without a proper driver's license. This estimate was released by the Belgian Institute for Traffic Safety (Instituut voor de Verkeersveiligheid). Many children, who haven't passed their test yet, use their parents' car. Also, a lot of people drive around while their license has been revoked. A third group are those who are not allowed to drive on medical grounds, but take to the road nevertheless. The estimate has been based on the amount of fines for driving without a license; on a yearly basis 18.000 fines are issued for this. On average 3.000 underage cardrivers are fined. And a considerable number of these were also found to have been drinking. 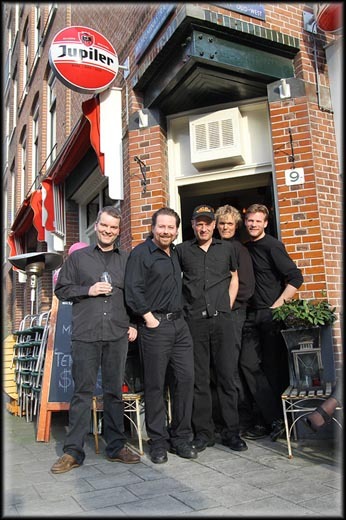 On a sunny Sunday, 28Mar2010, we enjoyed a gig by the world famous Tennessee Studs! They drew a crowd in Café De Figurant in Amsterdam. Country, Bluegrass & Americana music from Amsterdam, The Netherlands. Delivered to you straight from the heart with 5 voices and 64 strings. Brothers & sisters, see you there, if the Good Lord's willing and the creeks don't rise! More than two million census workers will cover an estimated 1.2 billion people, defining them in demographic, socio-cultural and economic terms, including such parameters as mobile phone and Internet usage and banking access. "This census is the largest exercise of its kind in human history. Our goal is to identify, count, record and issue identity cards to every Indian citizen," Home Minister Palaniappan Chidambaram said ahead of the launch. The census in the world's second-most populous country is held every 10 years. China, with a population of 1.3 billion, also has a census every 10 years. The government will also, for the first time, spend about 35 billion rupees ($786 million) on preparing a National Population Register (NPR), which will have photographs and fingerprints of all persons above the age of 15 years. 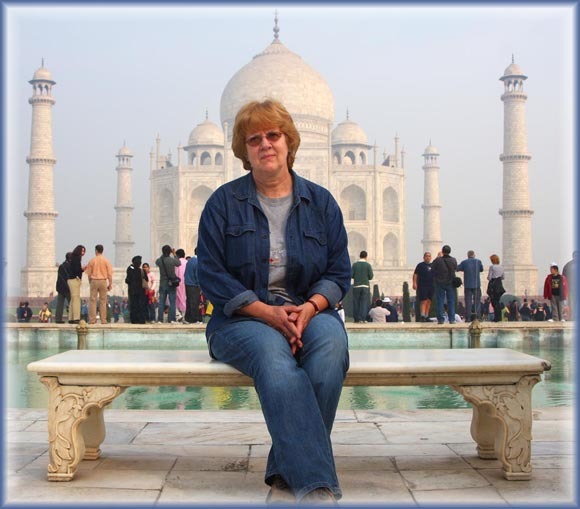 Ever since our (first) visit to India, in 2009, when we travelled through Rajasthan (Jaipur, Udaipur, Pushkar, Jodhpur and Jaisalmer), visited Agra and stayed for a few days in Varanasi, I have become 'enchanted' by India and interested in what is going on there. Such as this unpreceeded census. By 2009 it was reported that with 1,150,000,000 (1.15 billion) people, India was the world's second largest country. India crossed the one billion mark in the year 2000, one year after the world's population crossed the six billion threshold. It is April Fools' day! This one I liked very much... Click on the thumbnail for a larger image of the article. This is an advertisement by a local gym, claiming scientific research has found a way for men to live longer (5 years!) and this gym has set up an exercise program (only 10 minutes of your time!) for it and one can call in to participate. Now that will attract customers! 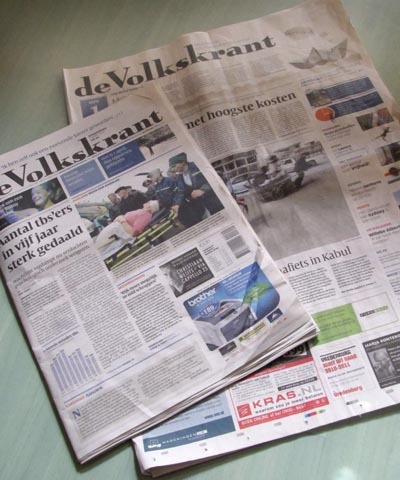 The dutch newspaper 'Volkskrant' , an excellent source for news, has been reduced to tabloid size since 'week 13' 2010. And I like it! We went over to the hospital, to the emergency services (22:00), where I was diagnosed and my fear confirmed. I got my leg in plaster and was asked to return the next day for surgery. My surgery was not scheduled, so I had to wait for a moment between planned surgeries. During the afternoon that moment did arise and things went very smoothly. My compliments to the staff of the Spaarne Ziekenhuis (Hoofddorp); I was treated in a very efficient and kind way. I passed through so many hands (Sureina, Natasha, Sandra, Mike, to name a few), shift changes, coffee breaks, departments and each time I was welcomed, introduced, my credentials and injury checked and passed on to the next. The arrow on my leg is to confirm which leg the injury is on, even though the plaster (which needed removal, obviously, for the surgery) is a clear indication. In today's newspaper there was an article that someone in Belgium was awarded euro 180.000 in compensations for removal of the wrong testicle. I don't know how an arrow such as on my leg could have prevented that, but it shows a mistake can easily be made. It worked for me! Things went very smoothly in the Spaarne Hospital. But for now I am grounded, am still very clumsy with the crutches and mostly restricted to the couch. A laptop offers some online time, but is not entirely satisfactory. Fortunately I have newspapers, magazines and a large stack of books.